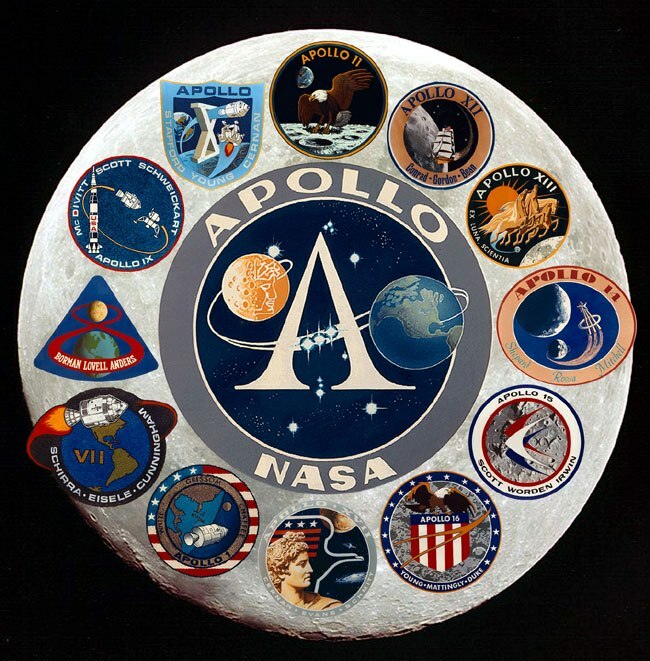 The Apollo program included a large number of uncrewed test missions and 12 crewed missions: three Earth orbiting missions (Apollo 7, 9 and Apollo-Soyuz), two lunar orbiting missions (Apollo 8 and 10), a lunar swingby (Apollo 13), and six Moon landing missions (Apollo 11, 12, 14, 15, 16, and 17). 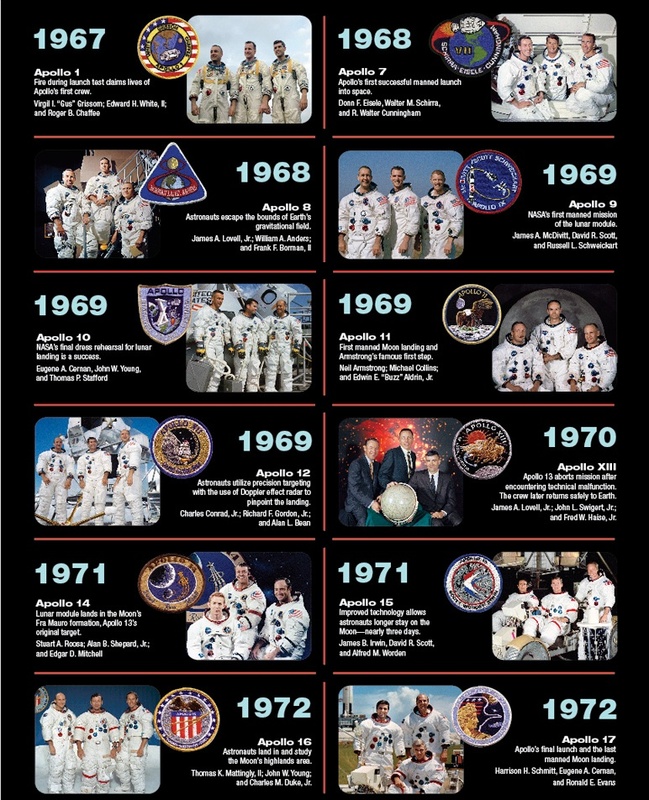 Two astronauts from each of these six missions walked on the Moon (Neil Armstrong, Edwin Aldrin, Charles Conrad, Alan Bean, Alan Shepard, Edgar Mitchell, David Scott, James Irwin, John Young, Charles Duke, Gene Cernan, and Harrison Schmitt), the only humans to have set foot on another solar system body. Total funding for the Apollo program was approximately $20,443,600,000. 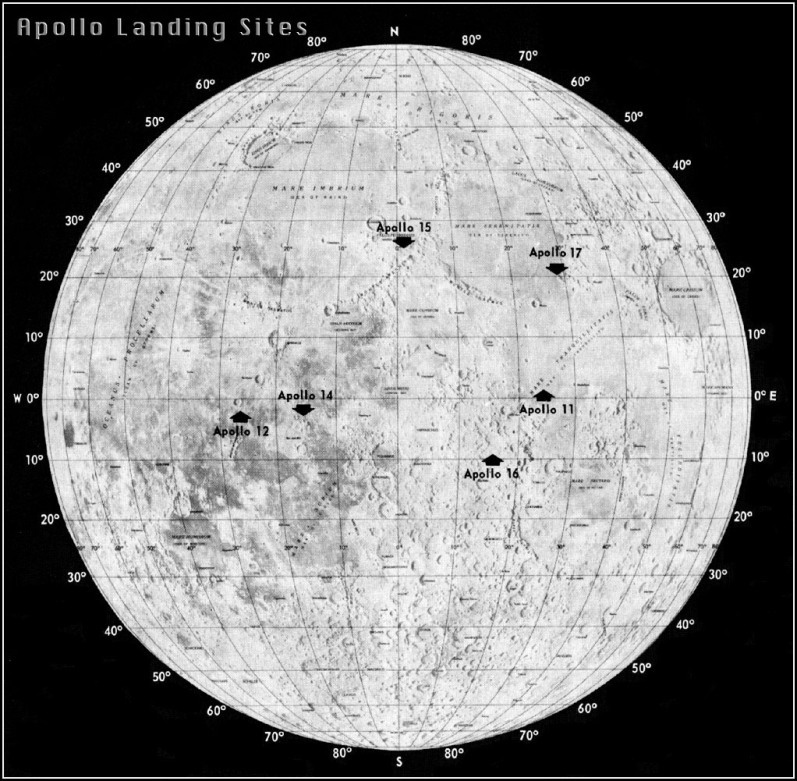 This graphic shows the approximate locations of the Apollo moon landing sites. Ranger 3 U.S.A. Jan 1962 lunar landing launch failure, missed the moon by 22,862 mi. Ranger 5 U.S.A. Oct 1962 lunar landing missed the moon by 450 mi. Lunar Prospector U.S.A. Jan 1998 lunar polar orbiter determined whether water ice exists on the Moon near its poles and mapped the elemental composition of the lunar crust. The controlled crash of the spacecraft into a crater on the Moon on 07/31/99 produced no observable signature of water. Neil Armstrong 7/20/69 2 hr. 31 min. 40 sec. 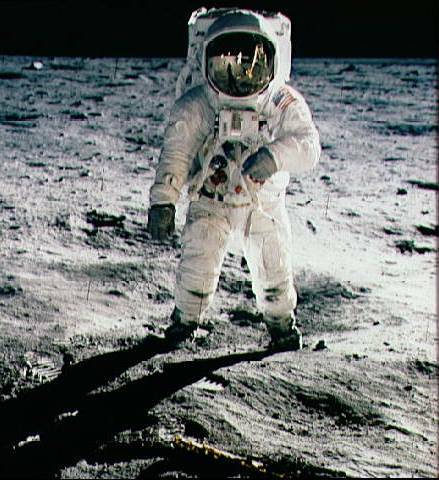 Edwin "Buzz" Aldrin 7/20/69 2 hr. 31 min. 40 sec. Charles (Pete) Conrad 11/19/69 7 hr. 45 min. 18 sec. Alan Bean 11/19/69 7 hr. 45 min. 18 sec. Alan Shepard 2/5/71 9 hr. 22 min. 31 sec. Edgar Mitchell 2/5/71 9 hr. 22 min. 31 sec. James Irwin 7/30/71 18 hr. 34 min. 46 sec. David Scott 7/30/71 18 hr. 34 min. 46 sec. Charles Duke 4/21/72 to 4/23/72 20 hr. 14 min. 16 sec. John Young 4/21/72 to 4/23/72 20 hr. 14 min. 16 sec. Harrison Schmitt 12/11/72 to 12/13/72 22 hr. 3 min. 57 sec. Eugene Cernan 12/11/72 to 12/13/72 22 hr. 3 min. 57 sec. 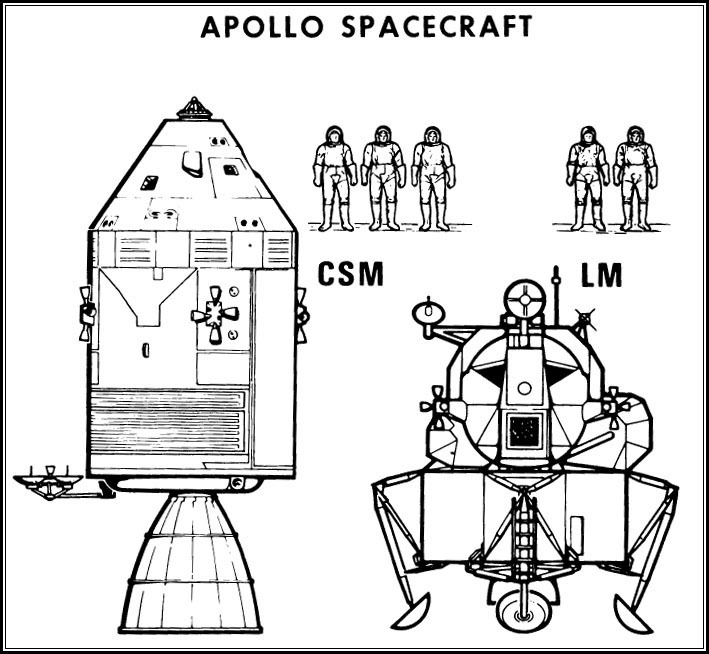 The Apollo mission consisted of a Command Module (CM) and a Lunar Module (LM). 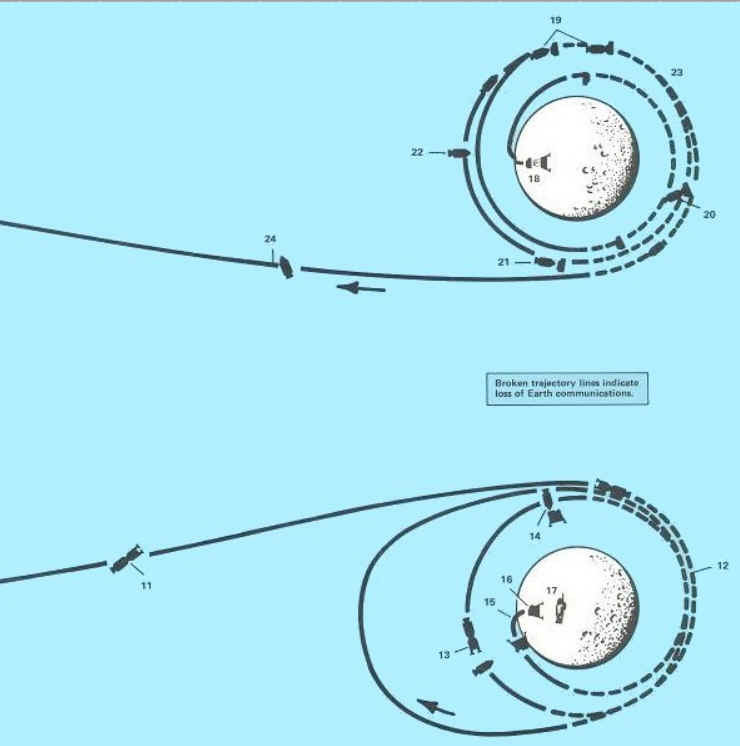 The CM and LM would separate after lunar orbit insertion. One crew member would stay in the CM, which would orbit the Moon, while the other two astronauts would take the LM down to the lunar surface. After exploring the surface, setting up experiments, taking pictures, collecting rock samples, etc., the astronauts would return to the CM for the journey back to Earth. 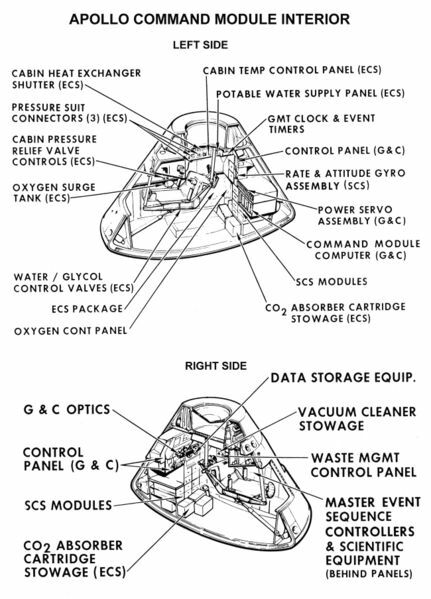 As the name implies, the Command and Service Module (CSM) was comprised of two distinct units: the Command Module (CM), which housed the crew, spacecraft operations systems, and re-entry equipment, and the Service Module (SM) which carried most of the consumables (oxygen, water, helium, fuel cells, and fuel) and the main propulsion system. The total length of the two modules attached was 11.0 meters with a maximum diameter of 3.9 meters. 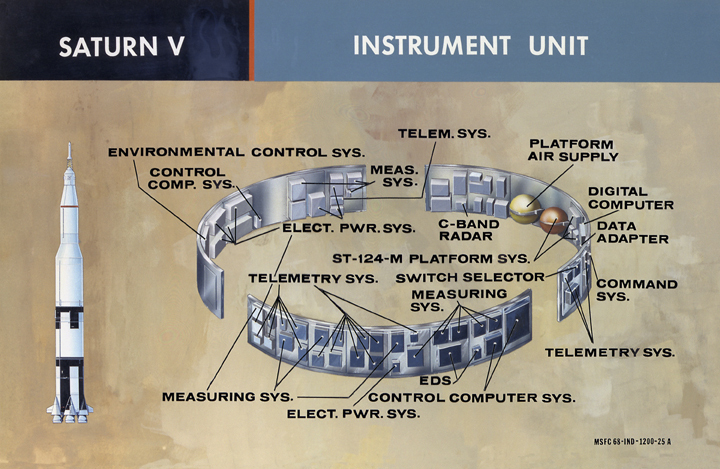 Block II CSM's were used for all the crewed Apollo missions. The Apollo 11 CSM mass of 28,801 kg was the launch mass including propellants and expendables, of this the Command Module (CM 107) had a mass of 5557 kg and the Service Module (SM 107) 23,244 kg. Telecommunications included voice, television, data, and tracking and ranging subsystems for communications between astronauts, CM, LM, and Earth. Voice contact was provided by an S-band uplink and downlink system. Tracking was done through a unified S-band transponder. A high gain steerable S-band antenna consisting of four 79-cm diameter parabolic dishes was mounted on a folding boom at the aft end of the SM. Two VHF scimitar antennas were also mounted on the SM. There was also a VHF recovery beacon mounted in the CM. The CSM environmental control system regulated cabin atmosphere, pressure, temperature, carbon dioxide, odors, particles, and ventilation and controlled the temperature range of the electronic equipment. The CM was a conical pressure vessel with a maximum diameter of 3.9 m at its base and a height of 3.65 m. It was made of an aluminum honeycomb sandwhich bonded between sheet aluminum alloy. The base of the CM consisted of a heat shield made of brazed stainless steel honeycomb filled with a phenolic epoxy resin as an ablative material and varied in thickness from 1.8 to 6.9 cm. At the tip of the cone was a hatch and docking assembly designed to mate with the lunar module. The CM was divided into three compartments. The forward compartment in the nose of the cone held the three 25.4 m diameter main parachutes, two 5 m drogue parachutes, and pilot mortar chutes for Earth landing. The aft compartment was situated around the base of the CM and contained propellant tanks, reaction control engines, wiring, and plumbing. The crew compartment comprised most of the volume of the CM, approximately 6.17 cubic meters of space. Three astronaut couches were lined up facing forward in the center of the compartment. A large access hatch was situated above the center couch. A short access tunnel led to the docking hatch in the CM nose. The crew compartment held the controls, displays, navigation equipment and other systems used by the astronauts. The CM had five windows: one in the access hatch, one next to each astronaut in the two outer seats, and two forward-facing rendezvous windows. Five silver/zinc-oxide batteries provided power after the CM and SM detached, three for re-entry and after landing and two for vehicle separation and parachute deployment. The CM had twelve 420 N nitrogen tetroxide/hydrazine reaction control thrusters. The CM provided the re-entry capability at the end of the mission after separation from the Service Module. The SM was a cylinder 3.9 meters in diameter and 7.6 m long which was attached to the back of the CM. The outer skin of the SM was formed of 2.5 cm thick aluminum honeycomb panels. The interior was divided by milled aluminum radial beams into six sections around a central cylinder. At the back of the SM mounted in the central cylinder was a gimbal mounted re-startable hypergolic liquid propellant 91,000 N engine and cone shaped engine nozzle. Attitude control was provided by four identical banks of four 450 N reaction control thrusters each spaced 90 degrees apart around the forward part of the SM. 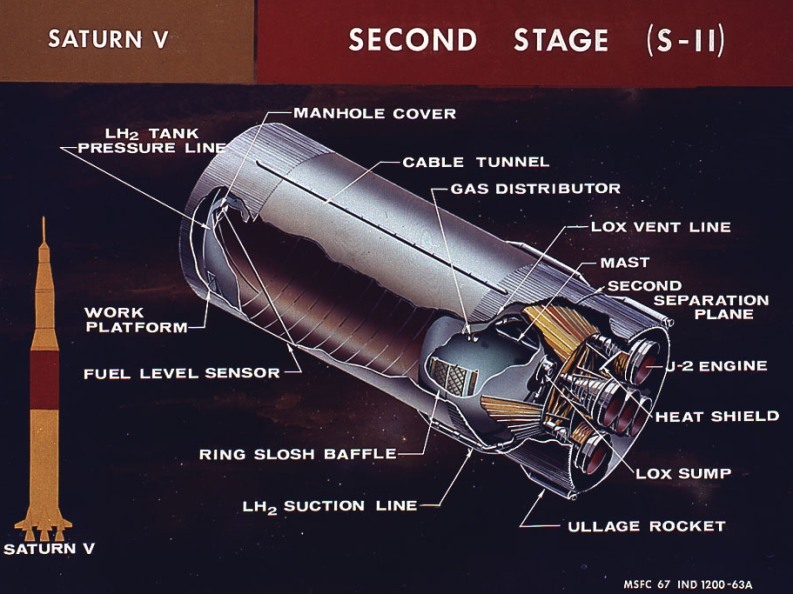 The six sections of the SM held three 31-cell hydrogen oxygen fuel cells which provided 28 volts, two cryogenic oxygen and two cryogenic hydrogen tanks, four tanks for the main propulsion engine, two for fuel and two for oxidizer, and the subsystems the main propulsion unit. Two helium tanks were mounted in the central cylinder. Environmental control radiator panels were spaced around the top of the cylinder and electrical power system radiators near the bottom. The Saturn V rocket was 111 meters (363 feet) tall, about the height of a 36-story-tall building, and 18 meters (60 feet) taller than the Statue of Liberty. Fully fueled for liftoff, the Saturn V weighed 2.8 million kilograms (6.2 million pounds), the weight of about 400 elephants. The rocket generated 34.5 million newtons (7.6 million pounds) of thrust at launch, creating more power than 85 Hoover Dams. A car that gets 48 kilometers (30 miles) to the gallon could drive around the world around 800 times with the amount of fuel the Saturn V used for a lunar landing mission. It could launch about 118,000 kilograms (130 tons) into Earth orbit. That's about as much weight as 10 school buses. 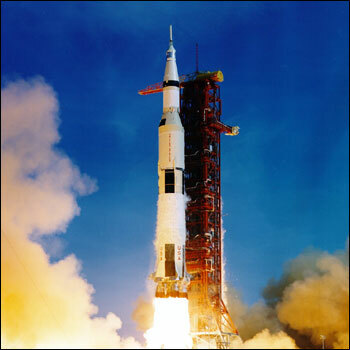 The Saturn V could launch about 43,500 kilograms (50 tons) to the moon. That's about the same as four school buses. The Saturn V was developed at NASA's Marshall Space Flight Center in Huntsville, Ala. It was one of three types of Saturn rockets NASA built. 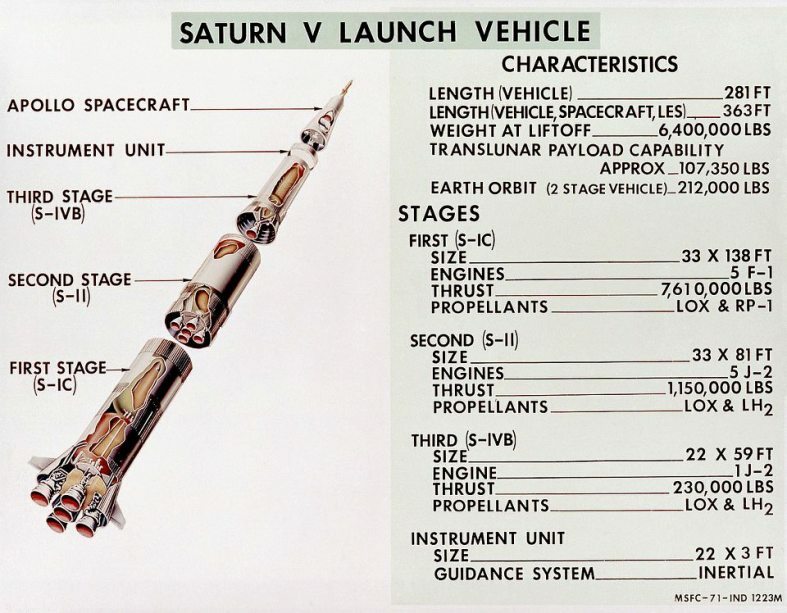 Two smaller rockets, the Saturn I (1) and IB (1b), were used to launch humans into Earth orbit. The Saturn V sent them beyond Earth orbit to the moon. The first Saturn V was launched in 1967. It was called Apollo 4. Apollo 6 followed in 1968. Both of these rockets were launched without crews. These launches tested the Saturn V rocket. The first Saturn V launched with a crew was Apollo 8. On this mission, astronauts orbited the moon but did not land. On Apollo 9, the crew tested the Apollo moon lander by flying it in Earth orbit without landing. On Apollo 10, the Saturn V launched the lunar lander to the moon. 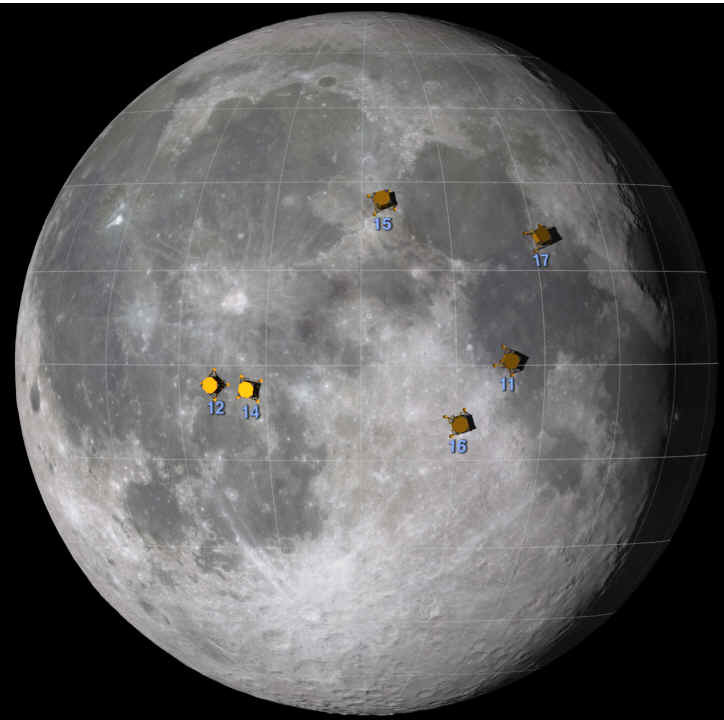 The crew tested the lander in space but did not land it on the moon. In 1969, Apollo 11 was the first mission to land astronauts on the moon. Saturn V rockets also made it possible for astronauts to land on the moon on Apollo 12, 14, 15, 16 and 17. 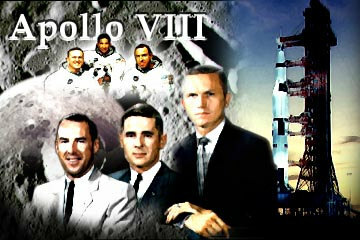 On Apollo 13, the Saturn V lifted the crew into space, but a problem prevented them from being able to land on the moon. That problem was not with the Saturn V, but with the Apollo spacecraft. The last Saturn V was launched in 1973, without a crew. 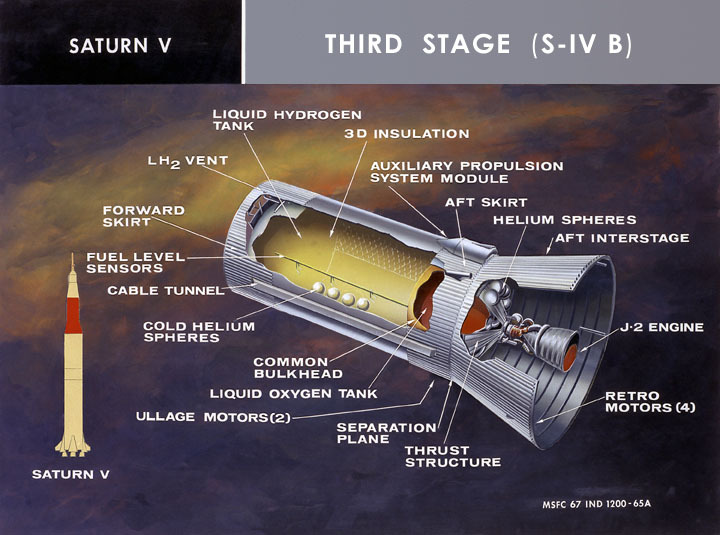 The Saturn V rockets used for the Apollo missions had three stages. 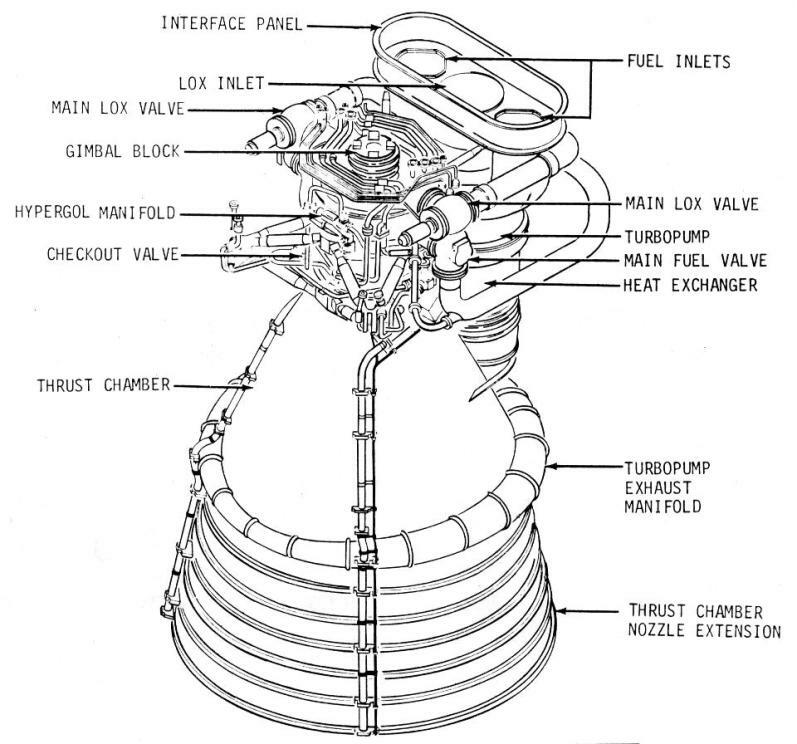 Each stage would burn its engines until it was out of fuel and would then separate from the rocket. 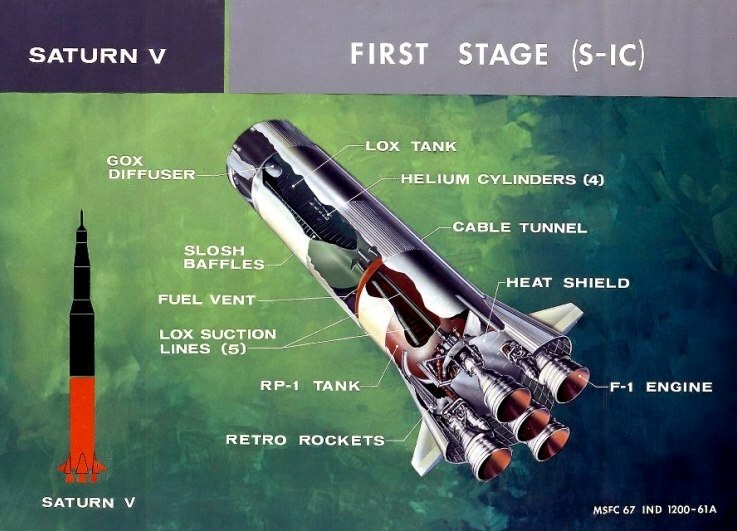 The engines on the next stage would fire, and the rocket would continue into space. The first stage had the most powerful engines, since it had the challenging task of lifting the fully fueled rocket off the ground. The first stage lifted the rocket to an altitude of about 68 kilometers (42 miles). The second stage carried it from there almost into orbit. 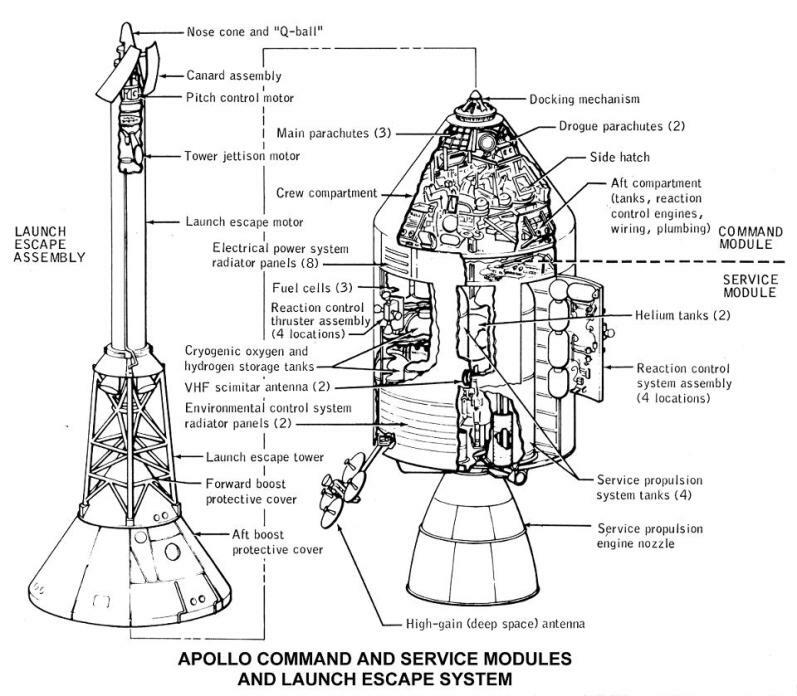 The third stage placed the Apollo spacecraft into Earth orbit and pushed it toward the moon. 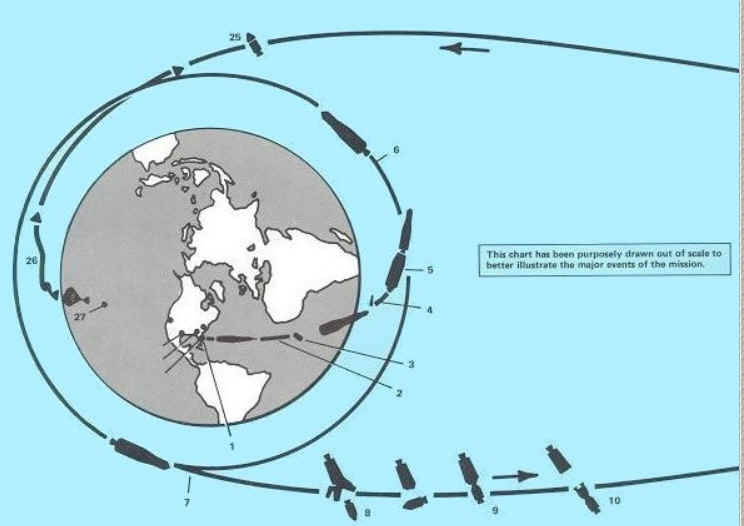 The first two stages fell into the ocean after separation. The third stage either stayed in space or hit the moon.